One of Greg's favourite walks! 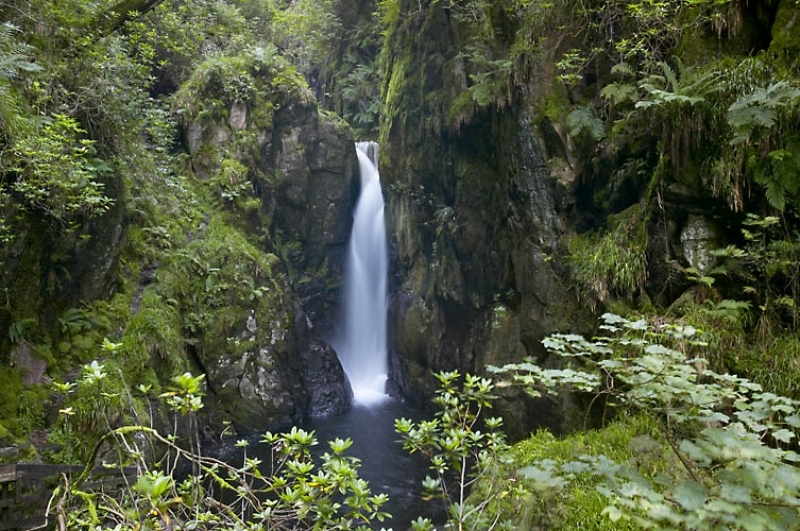 A round trip to Stanley Ghyll Waterfall - allow 90 minutes. Please don’t do this walk in sandals or flip flops, proper walking footwear or good trainers should be worn and it is not advised for families with very young children. Head out of our driveway, drag yourself past the Boot Inn if you can and again if you can, past the Brook House Inn! Go straight over, it’s signposted St Catherine’s Church. After less than half a mile you reach the Church - which has an interesting graveyard - spot the ornately carved gravestone of Tommy Dobson legendary master of the Eskdale and Ennerdale foxhounds in the 19th Century. The church has a fine 14th century window and is well worth a look in. From here cross the River Esk via the stepping stones just by the church or if the river is high head on the path to the left of the river, walking upstream. After 200 yards go through a gate and bear right. After another 200 yards you come to girders bridge which was a bridge made for the steam train when they dug some small iron ore mines on the far side of the river in the early 20th century. After crossing the bridge turn right and walk back the far side of the River Esk passing the church on the opposite bank. There is a tiny beck right opposite the church and 20 yards upstream are two big stones to ease crossing this tiny 1 yard wide beck if the water is high. Continue another 200 yards through a meadow to a gate by a little woodland. Go through here and 50 yards further on cross the little bridge over the beck which flows from the Stanley Ghyll waterfall. After crossing the bridge go another 50 yards to the next gate and just before this you will see the path on the left in front of the gate, take this path and head upstream on the right side of the beck. (Please note you cannot start the walk up to the waterfall from the left side of the beck, you have to join the path on the right side of the beck as you head upstream). Enjoy this beautiful walk up through the Stanley Ghyll which is a delightful gorge with the constant sound of the tumbling beck. There are several little bridges which criss cross the river and in spring marvel at the colours of the rhododendron trees. After a quarter of a mile you reach the last bridge and beyond this is a narrow path about 50 yards to the plunge pool of the bottom of the four flights. You can with care take this narrow path to see the bottom two cascades. Back track to the bridge and head up the zig zag path about 200 yards to the top. Beware there is a sheer drop so keep a firm hold of your children’s hands - you will see the warning sign 20 yards before the top. Here you can look down on the top two fights or cascades and enjoy the fine view between the trees to Boot village and mighty Scafell beyond. After enjoying these stunning views and one of the Lake District’s finest waterfalls you can head back to Boot via an old farm track. With the waterfall to the front of you, look right and there is a stile on a fence about 20 yards away. Hop over this stile and about 50 yards in front of you is a farm track. Take this heading right and downhill. After a few minutes you are in a delightful clearing with one of the best views in the Lake District there in front of you with all the big mountains in view across the valley. This is an excellent photo opportunity. Continue on down this old farm track through a gate marvelling at the incredible stone walls either side of the track. They are truly incredible walls. After quarter of a mile the path takes you past Stanley House - a beautiful very historic old property with huge round chimneys. Go through the gate in front of you, in view of Stanley House and keep on the path, passing some gorgeous bluebell woods in the spring. After 200 yards you go over Trough House bridge - a fine old bridge over the River Esk where the water is particularly deep and green. Another 200 yards brings you past the war memorial and out onto the road opposite the old school house. Turn right, head back past Dalegarth train station to the Brook House Inn and back into Boot village passing both pubs if refreshments are needed! This is a delightful walk at any time of the day and is one of my favourites as it has so many interesting things to see and with good footwear is a fairly easy walk.